New Delhi: Could you really lose your job if you don’t wear a helmet or a seat belt while driving to work or back home? Or if you jump a red light? Mint could not ascertain whether anyone has actually been fired by their companies for such offences, but an increasing number of companies including E.I. DuPont India Pvt. Ltd, the Shell group, Hindustan Unilever Ltd (HUL) and the Hero group do consider safety, at work and otherwise, as a core value. “How can we preach safe practices if we don’t practise them ourselves?" asks Bakul Dave, safety head, HUL. In fact, these companies foster safety values even outside their organizations by refusing to hire cabs from companies or put up their employees in hotels that do not meet safety standards. “Blatant violation of safety rules have led to termination of a few employees in the last couple of years," says Balvinder S. Kalsi, president and chief executive officer of science and technology company E.I. DuPont. Kalsi adds that the number of instances where the company has had to fire someone on such grounds has been low because “we have a very robust mechanism to drill in safety values in our staff and even their families." The companies say that reprimands and the rare instances of termination are required to emphasize the importance of safety. “Non-compliance and negligence can lead to serious accidents, which can have consequences on people, assets, the environment and even the reputation of the organization," says Kamulkar. A safety expert says that while companies often factor in direct costs related to safety—such as loss of assets, material, medical bills and compensation—they tend to ignore indirect costs such as loss of productivity and work days, low morale among co-workers, and the negative impact on the company’s reputation. This indirect cost is “ 5-10 times higher than direct costs depending on the sector", says Shikhar Jain, a counsellor at the Confederation of Indian Industry-run Centre of Excellence for Sustainable Development. Companies that place importance on safety work with the belief that all accidents are preventable. Large companies spend as much as Rs10-15 crore on making their workplaces safe, which they believe is money well spent. “Returns from safe practices are over three to five times from the investment made," says Kalsi. What really makes a difference, however, is a culture of adopting safe practices. 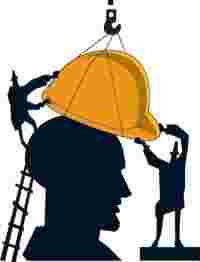 Therefore, companies are investing a significant amount of money and time in behavioural safety training. In the 1990s, Indian companies rushed to comply with ISO 9001 standards related to quality. Experts say there is a similar rush to meet the OHSAS 180001, or occupational health and safety assessment series standards.